The Guelph Chapter hosted an Activist's Workshop on March 30 where they shared practical skills around community organizing and engagement. 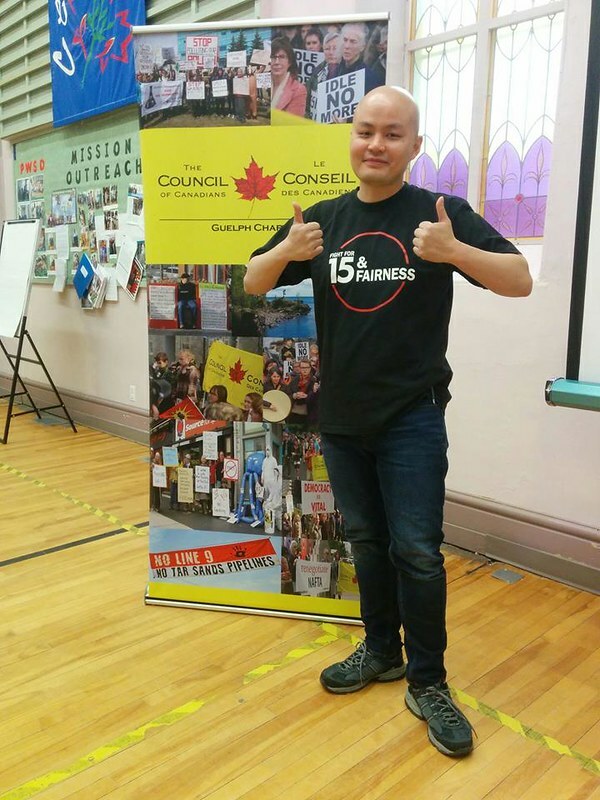 Council of Canadians chapters help put campaigns and social and economic justice issues in the spotlight in communities across the country. Chapter activists continue to be busy protecting water and public health care, challenging unfair trade deals, calling for urgent and immediate action on climate change, and to standing up for democracy. Below are just a few examples of their recent actions. Please be in touch if you're interested in getting involved in a chapter near you. WIN! Prince Albert Chapter making strides in quest to turn their community “blue"
Canada is warming faster than we thought. What can we do about it? Email chapter actions and events to chapters@canadians.org – we’d love to see your photos too!